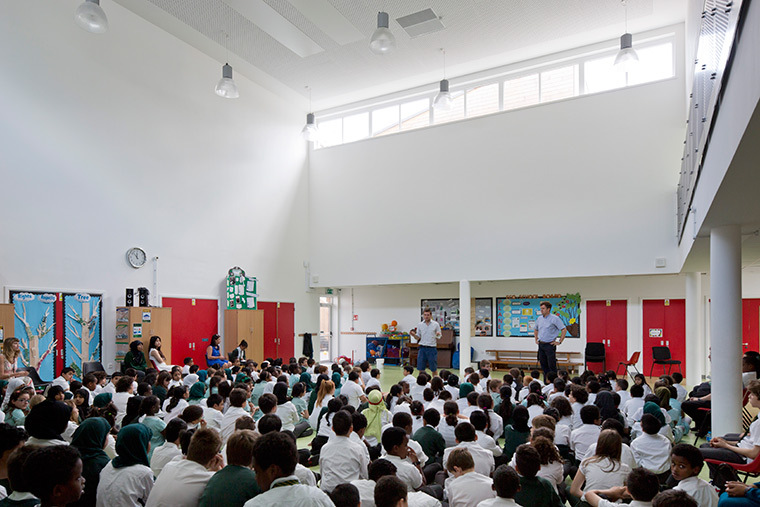 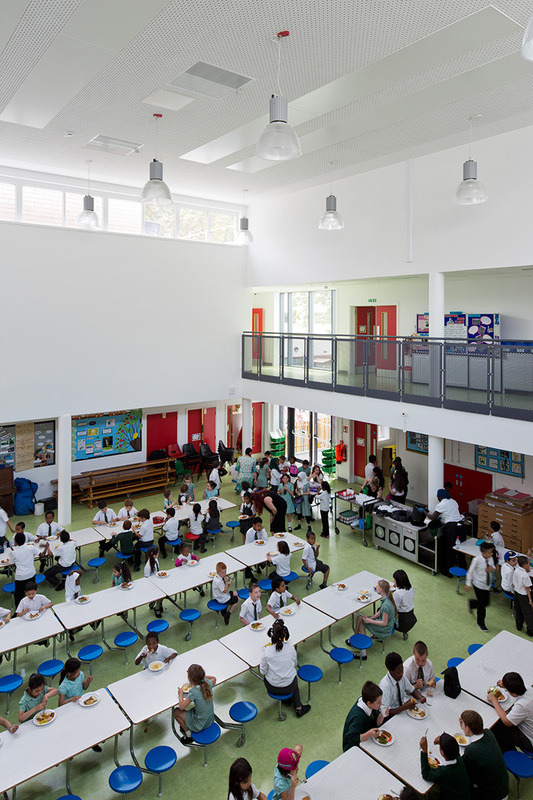 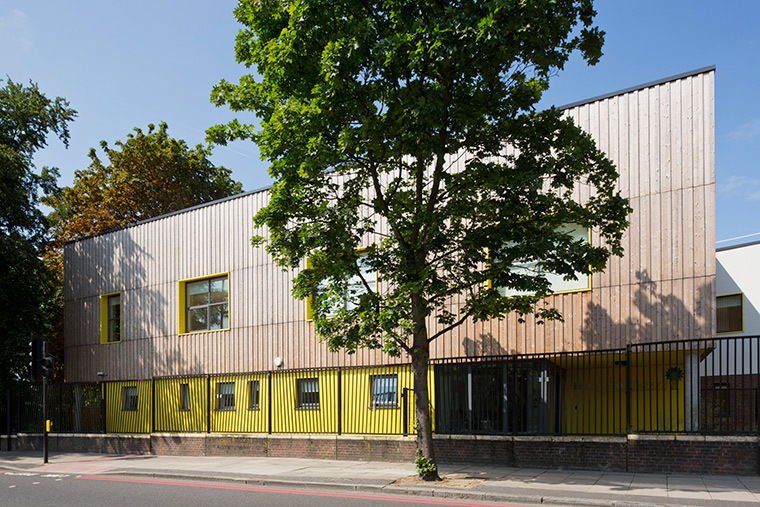 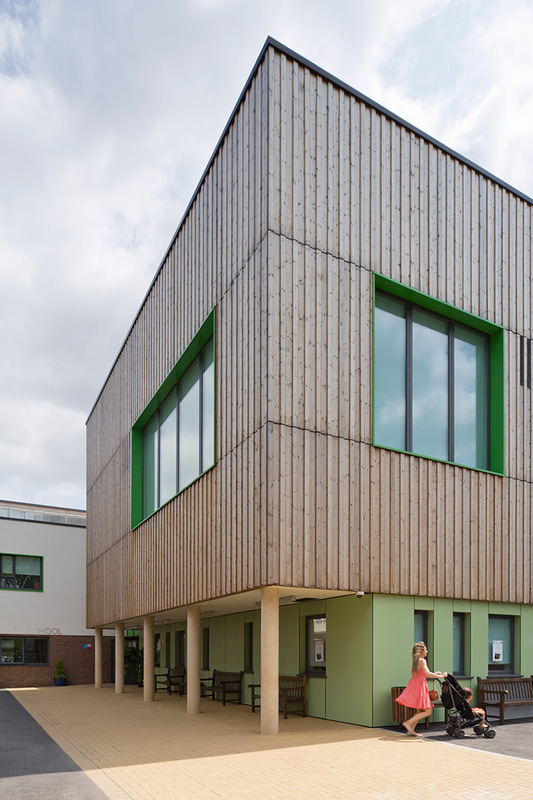 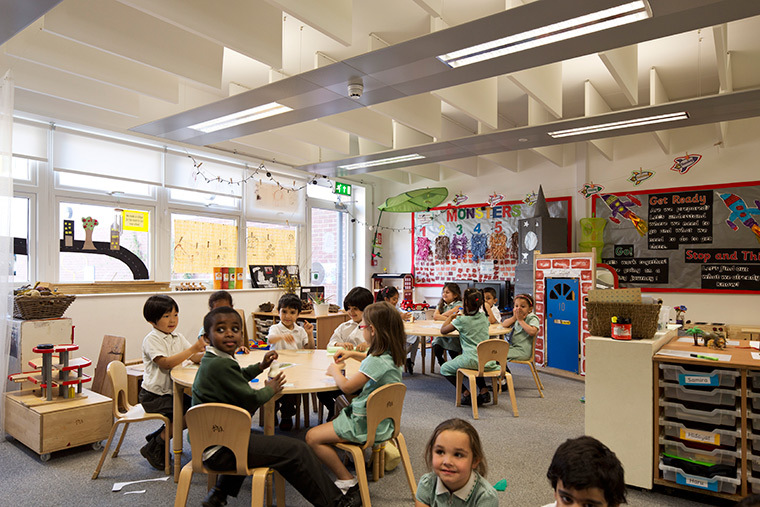 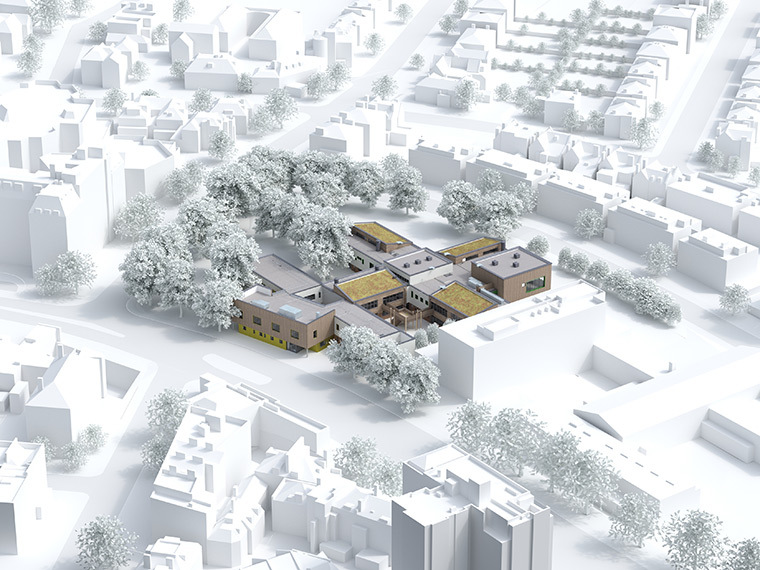 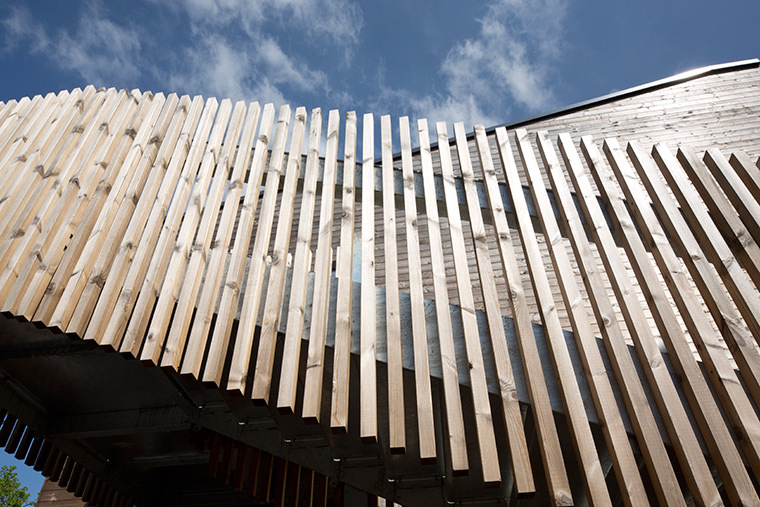 This new, two-storey building forms part of the Marlborough Hill Campus in St John’s Wood and combines a nursery, infant and junior schools and a separate alternative provision centre. 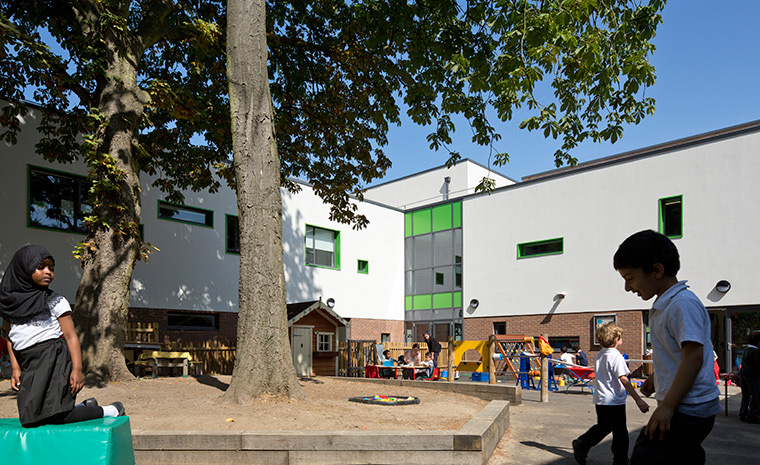 It sits within parkland and the setting plays an important part in the design. 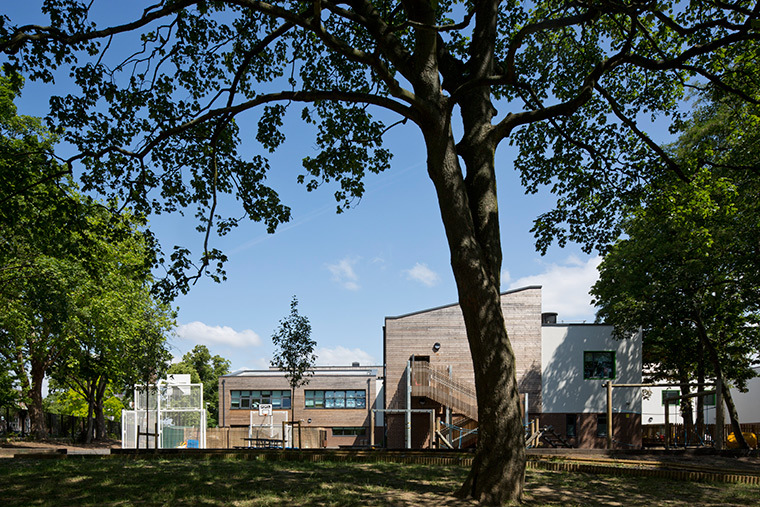 The existing mature trees have been retained wherever possible and classrooms benefit from an outlook onto them. 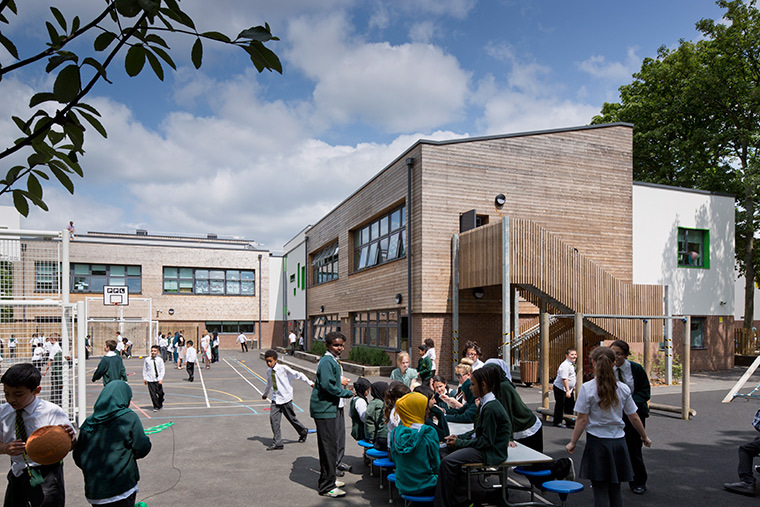 The pinwheel plan gives all classrooms direct access to outside, with defined exterior play spaces. 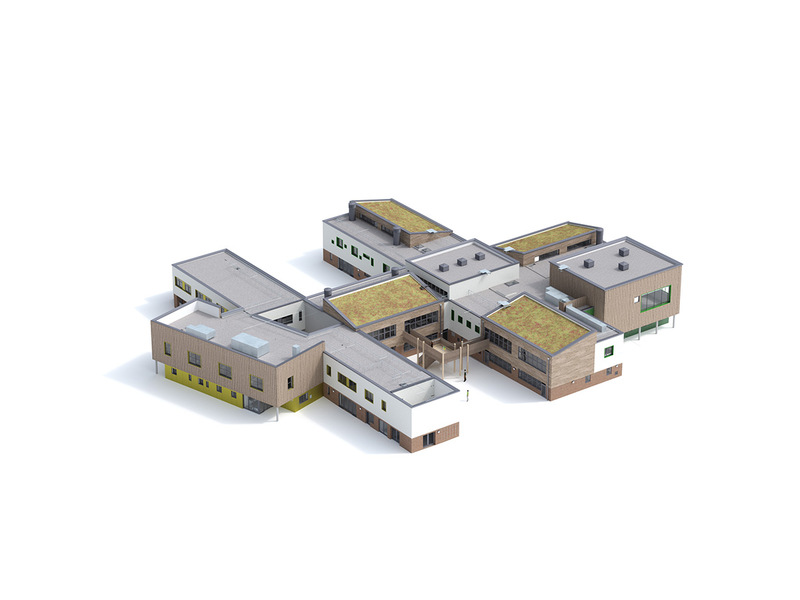 George Eliot School is naturally ventilated throughout, and the parkland feel is maintained with four pitched green roofs.